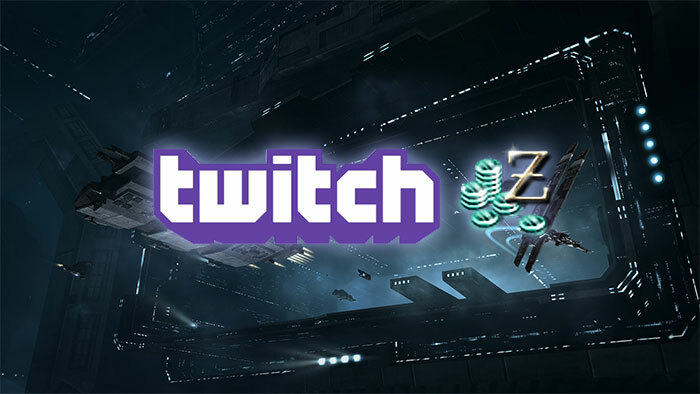 Twitch streamers have been giving away things worth ISK to their viewers for a while now. As long as no actual money is involved, this is not a problem. Typically, an EVE Twitch streamer might PvP or talk about his/her subject of expertise. You can listen to somebody complain about Ishtars, or maybe watch someone die to Ishtars. Then they get around to something along the lines of, “Type ‘ishtarsuck’ into the channel if you want a shiny new Federation Comet.” A bunch of people spam whatever the word or phrase is into the chat channel. The streamer has a program randomly select one of them, asks for the in-game name of the winner’s character, and sets up a contract for the winner. Normally, a giveaway is free to the public. People sometimes have to hit the “Follow” button to be eligible, but this costs nothing. The program that raffles items away simply picks someone who typed into the channel within the last few minutes. The problem is that some streamers have started subscriber-only giveaways. They set their channel so that only subscribers can type into the channel. This means that only subscribers can enter the raffle. A person pays a set amount ($4.99 USD is a typical amount) monthly to be a subscriber. Streamers doing this start with prizes open to anyone, that tend to be things like T3 destroyers, T2 and faction frigates, generally with a value around 50 mil ISK. Subscriber only prizes tend to be faction battleships and more valuable items clocking in around 500 mil ISK. The fact that this is on Twitch and not somewhere else should not matter. Imagine a hypothetical individual who ran a raffle without the aide of Twitch. This person charges $5 USD for a ticket. Prizes include EVE items worth decent amounts of ISK. Is this ethical? For anyone not familiar with it, the details of the Somer Blink strategy may be relevant. Somer Blink sold PLEX to their customers. That is, they had a link on their site through which you could buy a PLEX from CCP. The deal for the people who do this, is that CCP authorized PLEX sellers will kickback a small amount of cash to any website that manages to sell a PLEX, generally a 5% commision. The problem that Somer ran into, was that they started offering people gambling credit for buying PLEX through their website. The gambling credits were worth, on average, a certain ISK value. Turning the credits into ISK took a little effort and possibly some risk. But again, on average, by buying PLEX through Somer Blink an individual could expect to be given a small extra chunk of ISK. The important thing about Somer Blink is that they were not offering a simple deal where a client paid real cash and received a sum of ISK. They obfuscated the ISK handout by making it a gambling proposition. “You are not buying ISK. You are buying gambling credits.” They clouded the process in general by making it complex with many steps along the route, and this only hurt them in the end. A player may have bought PLEX from Somer Blink because they honestly liked the website and wanted their business to support it. A player may subscribe to a stream because they honestly like the stream. The problem was, and still is, using ISK to sweeten the deal. Who subscribed because they could win a Barghest? Who just likes the streamer? Surely, someone is more likely to become a subscriber if they think they can win something? If giveaway items were just about getting people to watch the stream, why do they need to be behind a paywall? Twitch streamers in other games have long held a tradition of giveaways. At one point, you could win Diablo 3 Gold or Steam credit. You can go out and find streamers of various games raffling CD-keys, hardware, and other kinds of goodies. So the idea of getting people to subscribe by offering nice prizes has been around for some time. From an outsider’s view, it seems to be a business model for many streams. EVE streamers using this model likely learned about it from watching other streamers in other games. There is a good chance that the EVE streamers giving away ISK did not ask themselves how they could turn ISK into hard cash. Streamers may have been asking themselves, “What do I have laying around that I can give to my subscribers?” The problem is not one of character. The problem is not about intent. The problem, really, is “Is the current practice acceptable?” If CCP decides they don’t like this type of arrangement, it doesn’t automatically mean they need to unleash the banhammer. It would be reasonable for CCP to simply state whether this crosses any lines or not. The community would then adapt either way. Any harsh response to people generating content on Twitch that discourages that behavior would be bad for EVE marketing. A reversal in policy with any kind of retroactive punishment would be severe. CCP needs to clarify policy without taking any other action. If CCP is against it, they can tell streamers to separate paywalls and ISK prizes. An EVE streamer would give out items valued in ISK to everybody, as long as it was not just to subscribers. The subscriber-only giveaways needs be hardware, EVE T-Shirts, or something else EVE related that is not ISK. A stream with quality content need not hand out ISK to get subscribers. If handing out ISK is needed to get cash subscriptions, maybe that is the problem.